The Prime Minister said this when UN Under Secretary General and Executive Director of the United Nations Population Fund (UNFPA) Dr Natalia Kanem met her at her office. 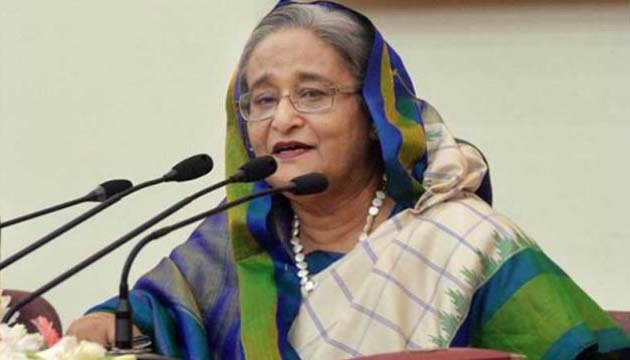 Sheikh Hasina said, some 100,000 Rohingyas will be shifted to Bhashanchar soon as 6,000 people are working there to arrange accommodations for them in the island. She said ,Bangladesh is a disaster-prone country and the upcoming monsoon may cause untold sufferings to the Rohingyas. “So, measures are being taken for their temporary shelter in Bhashan char. They’ll stay there , until they are repatriated . 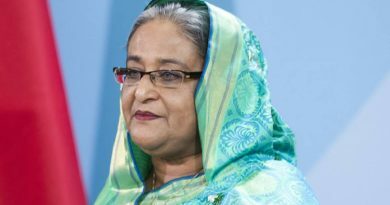 Hasina said ,Bangladesh has given shelter to the Rohingya people who fled persecutions in Myanmar’s Rakhine state on humanitarian grounds. Local host communities are also cooperating with the Rohingyas in Cox’s Bazar. The Prime Minister informed Dr Natalia Kanem that 60 babies are born in Rohingya camps on average a day. 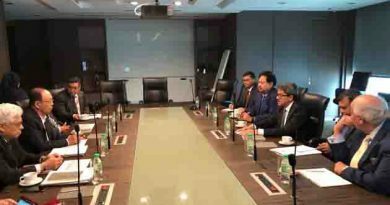 The UN Under Secretary General and UNFPA Executive Director highly praised Prime Minister Sheikh Hasina for giving shelter and support to the Rohingyas, and her government’s successes in women empowerment in Bangladesh. Dr Kanem said Bangladesh has gained extraordinary improvement in the maternal healthcare. Appreciating Bangladesh’s progress in poverty eradication, she said the UNFPA will continue to provide its assistance to the country. The Prime Minister said , the aim of her government is to develop the entire country, including the remote areas, by ensuring food security, healthcare and education for all. ← Armed Rohingya group massacred Hindus in Myanmar : Amnesty International report . Singapore, Myanmar, the Maldives, Nicaragua, and Vietnam extend their heartiest congratulations to Bangladesh Prime Minister Sheikh Hasina . On the occasion of Chinese New Year, Bangladesh Prime Minister Sheikh Hasina extends heartfelt congratulations and best wishes to the people of China.